Diamonds are no longer limited to stores nearby. Sometimes there are not enough places to choose from where you can easily go to, so one of the places to look into is online. However, buying something so precious online can be scary. How will you know if the online store will not rip you off? That is where diamond reviews come in. DiamondStoresReviews is a company that reviews online diamond stores so that the buyer has the educated confidence that the items being bought are, to the best of the buyer's knowledge, safe and real. So, buying online is better, especially when you cannot even go to the store physically because it is in another country. They do not sell diamonds, so the reviews are unbiased. There are many diamond stores reviewed and the company is continuously reviewing others. One of those reviewed is BlueNile. The reviews are rated and BlueNile has gotten above average star marks when it comes to customer service, delivery and flexibility and their score for price is a perfect 5. Of course, even before you try to buy online, you should have a fair stock of knowledge when it comes to choosing the right diamond. You probably know about the 4 Cs that you have to check on, namely: color, cut, clarity and carat. All four should be considered before buying. There is another, though, that can be overlooked, especially if you have been given quite a low price. The certificate of authenticity is a critical part of assuring the value of what you purchase. Unless the diamond was dug and cut by someone who just merely did it out of a hobby, all diamonds should have the certificate of authenticity. It makes tracking easier and it makes you confident that the item is not stolen. There are other tests, though, they cannot be depended on by those tests alone, such as the print test where the diamond cannot show the print underneath if you use it like a magnifying glass. The light test will cast a grayish shadow, not a rainbow, when light is focused on the diamond. With the breath test, no moisture can be seen on a diamond. A moissanite rock will pass this test, too, though. You have to hold the diamond before you can do these tests and that is not possible when you buy online. With a diamond reviewer, though, you have a better chance of getting the right one for what you are really intending to buy. 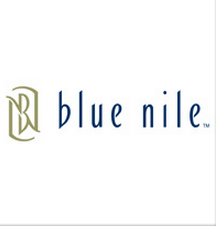 Make sure to go to http://diamondstoresreviews.com/blue-nile-reviews/ to compare. Anyway, I was really happy when I found this place because one of my friends is getting married and they are looking to find a diamond wedding band. They have been too many different places, but they can’t find the one they really want. With these helpful reviews I read at this place, I would highly recommend this place to my friends and I’ll bet they will be happy to check this place out and they will likely find something they love at this place.